It’s common knowledge that people don’t trust brands – they trust other people. All too often, digital marketing can come across as cold and lifeless. But it’s not hard to warm up your digital marketing, and win the trust of prospects and customers. Why? Because your company consists of people: people who probably have a healthy appetite for sharing their thoughts via social media. At the risk of lowering the temperature, I shall now introduce one of those frigid-sounding marketing terms: employee advocacy. But really, it’s a term with a lot more warmth and appeal than you might imagine. In a nutshell, employee advocacy is the promotion of a company by its people. It involves them talking your business or brand up on social networks because they want to… and it helps boost your company’s visibility and credibility by showing you have a strong relationship with your employees. Many brands don’t encourage employee advocacy, but they should. If you’re not empowering employees to advocate for your company, you’re missing out on a huge PR opportunity. 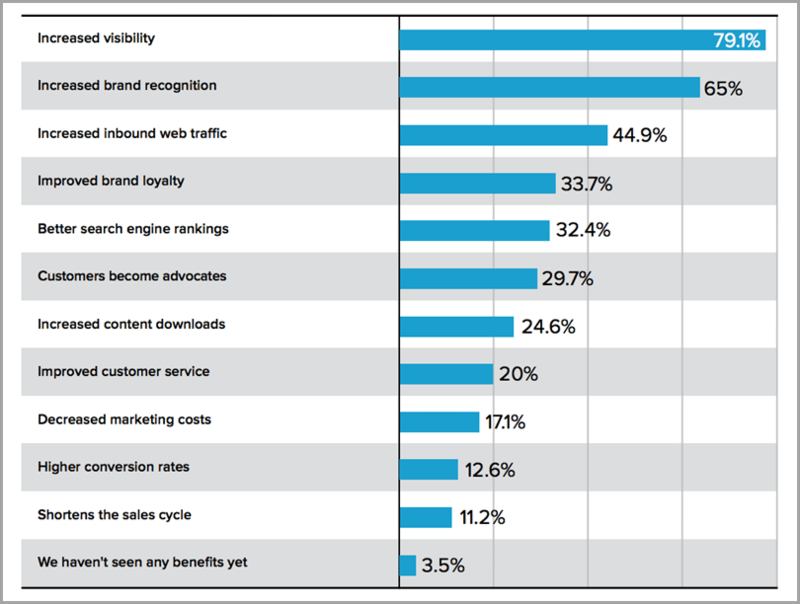 The conversion, retention and engagement potential is huge. 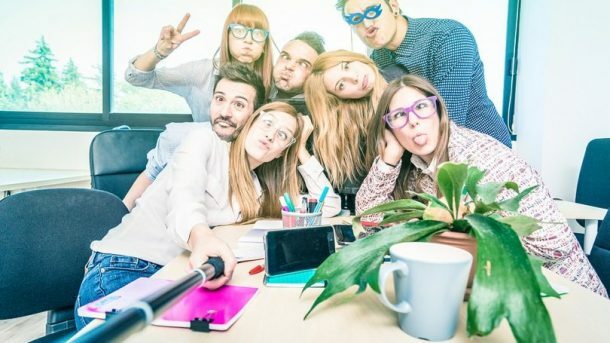 Check out just some of the benefits companies claim they’ve experienced from employee advocacy, courtesy of a study conducted by Hinge Marketing and Social Media Today. Data from Smarp, an employee advocacy software company, indicates the average employee advocate has approximately 420 Facebook friends, 400 LinkedIn contacts, and 360 Twitter followers. It’s easy to see how getting them to give you a shout-out on social media has the potential to dramatically amplify the reach of your company’s messaging. Here is Smarp’s formula for estimating potential reach boost via employee advocacy. It makes a compelling argument. Smarp’s platform helps marketers promote internal communication and employee-driven content sharing with features such as a gamified leaderboard and data-rich analytics that can help calculate advocacy-based ROI. Providing an end-to-end solution for enterprising B2B social media marketing, Oktopost’s employee advocacy tools enable marketers to post content to themed sharing boards which aggregate to dedicated mobile apps as well as the employee’s web browser. Marketers can easily browse through the platform’s content curation and social listening modules to find the most relevant and fresh content to push to these boards. Oktopost’s “Social Advocacy” mobile apps make it easy for employees to find relevant suggested content to share, which marketers can organize by topic. But team members aren’t necessarily going to share content about their employers without a dedicated employment advocacy program to encourage them to do so. “[Employment advocacy] requires proper training, a significant time investment, and the appropriate software tools,” the authors of Understanding Employee Advocacy on Social Media point out. So what’s a marketing organization to do to foster participation in its employee advocacy program? The following 12 steps are bound to give it wings. Convey the importance of employee advocacy and emphasize the low up-front costs and increased ROI. Present how employee advocacy can increase engagement resulting in higher productivity and customer satisfaction. Show how it will lead to increased revenue. 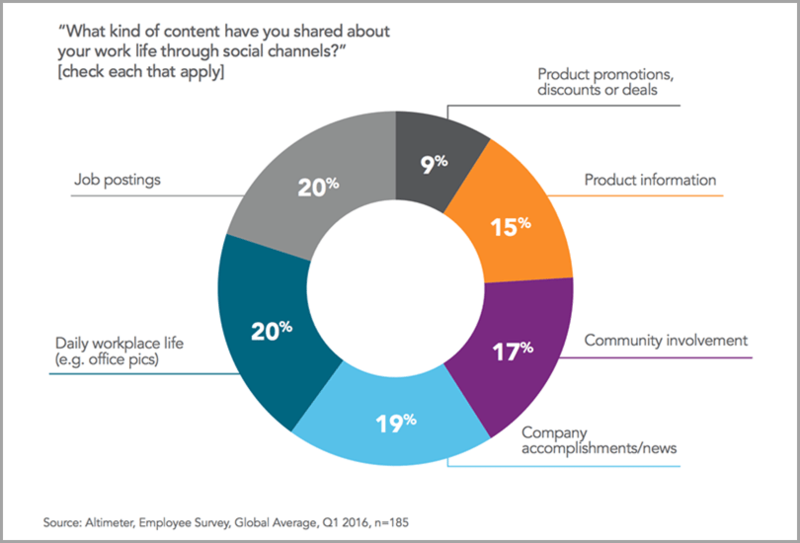 However, you don’t want to dictate exactly what, when, where and how your employees share content on social media. Just give them encouragement and a healthy dose of latitude. Obviously, there are risks involved with employee advocacy. As such, you’ll want to document a policy outlining acceptable protocol. The idea is to provide direction regarding social etiquette and tone, not iron-clad rules. The ideal person will encourage and guide employees, not boss them around. Employee advocacy relies on goodwill and trust. Rather than roll out the program to every employee at once, start with specific employees who have demonstrated that they are interested in participating and in providing feedback. Don’t assume your employees know how to use social media effectively for business purposes. Deliver training and learning resources. Make them engaging and fun. Your employees may enjoy positioning themselves as subject matter experts. Support this idea. Serve employees by helping them raise the status of their personal brands and/or development. Reward participants in your employee advocacy program with the recognition they crave. Create programs to showcase and reward the accomplishments of your leading advocates. Consider running contests. Top participants can be rewarded with money, gift cards or a day off. Obviously, sharing useful content is central to your employee advocacy program. You want your employees to spread the word about your company’s blog posts, eBooks, infographics, videos, podcasts and more. 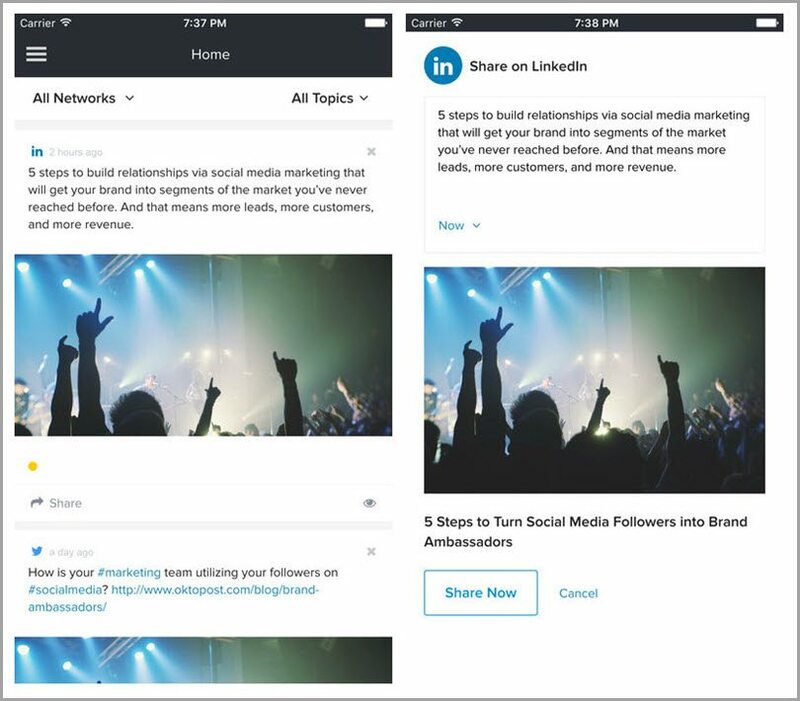 Create an employee advocacy hub where approved content can be easily discovered and shared. Provide employees with a link, image, and suggestions regarding what to write. Recruit key employees to participate in the content planning and creation process. These are the most common types of posts shared by employees, as reported by Altimeter in Social Media Employee Advocacy: Tapping into the power of an engaged social workforce. There are several social sharing tools you may want to consider equipping your employees with. Consider free and/or subscription-based platforms such as AgoraPulse. Highly effective tools that are dedicated to employee advocacy include the aforementioned Oktopost and Smarp, as well as GaggleAMP, LinkedIn Elevate and Social Chorus. 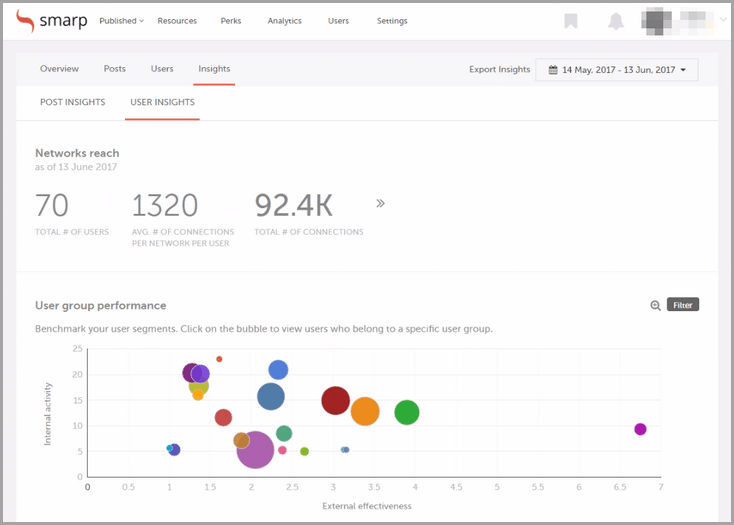 Smarp’s analytics reporting can demonstrate impact per content item or per team member. Give employees something fun to share with their followers and they will, so take them out to the ballgame! Host theme parties! Bring in speakers or entertainers! Do whatever you can to make sure they are quite literally a part of the party. Give employees some cool branded swag such as shirts, water bottles, backpacks, etc. You might want to throw a custom hashtag for sharing it on social media as well. Just sit back and watch what happens. 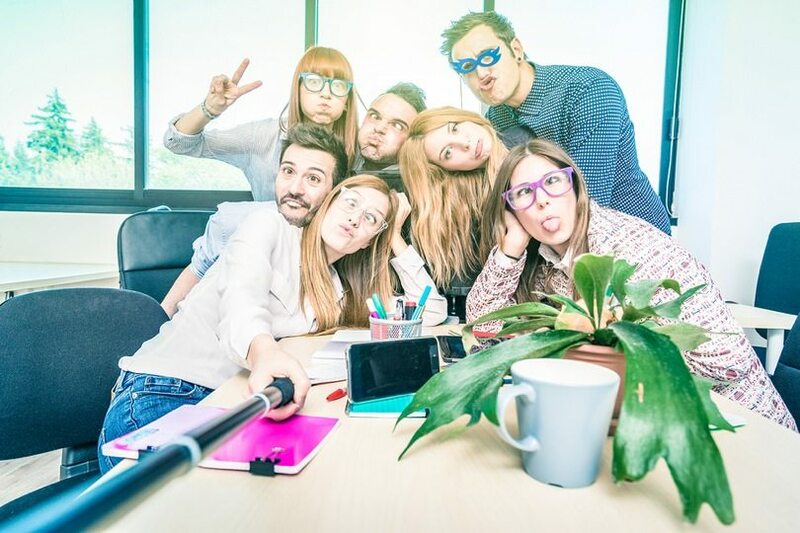 Your employees are the human face of your brand and they have valuable connections across LinkedIn, Twitter, Facebook and Instagram. Plus, because they’re real people rather than a faceless brand, they’re more trusted than anyone in your C-suite or marketing department. Marketing leaders should no longer think of social at the department level only, and recognize the company’s workforce as a tremendous asset for social media marketing. 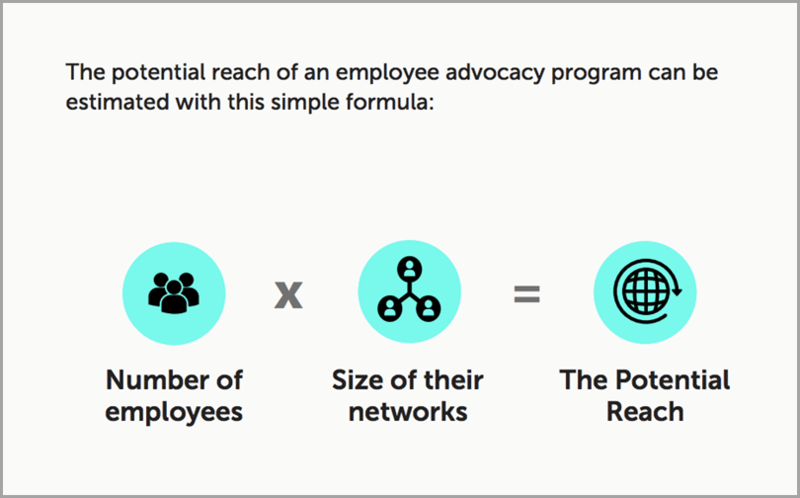 Reaching new levels of achievement in employee advocacy comes with numerous challenges, including: winning buy-in from leaders and the workforce; managing risk; building skills; making content available; and using metrics to prove value. 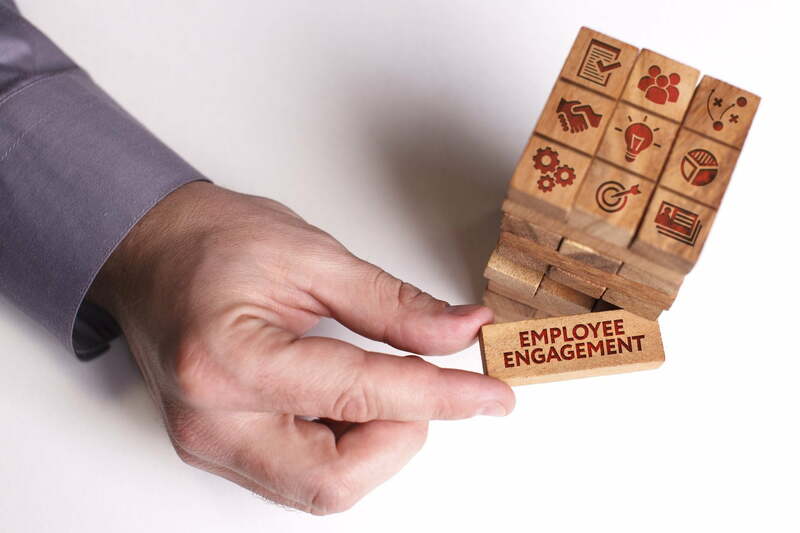 Overcoming these challenges takes a systematic approach to employee advocacy. And now is the time to take action, build a strong employee advocacy program, and inspire employees to share content regularly. Guest Author: Barry is the author of The Road to Recognition and SEO Simplified for Short Attention Spans. Barry operates Feldman Creative and provides content marketing consulting, copywriting, and creative direction services. He contributes to top marketing sites and was named one of the 25 Social Media Marketing Experts You Need to Know by LinkedIn. To get a piece of his mind, visit his blog, The Point.